Test your Mobile Website Speed now! How fast your page is loading on mobile device? Test now! Want a Mobile Friendly website? Follow our tips! Since 2010, Google considers the speed of web pages as a ranking criterion. Big changes are expected, as Google plans to deploy their Mobile First Index, which aims to make the mobile version of a site its default version, and therefore the one to which the SEO criteria will apply! So is your mobile page quick enough to deal with this small revolution in the SEO world? 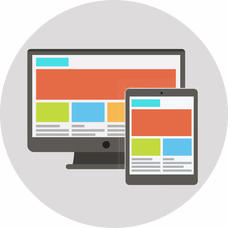 A responsive (RWD) website is not enough to ensure that it is efficient and fast to display. Dareboost offers you all the settings (choosing bandwidth, device, etc) necessary to test your site performance, and provides you best practices for your RWD or dedicated mobile page.